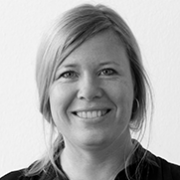 Line is a Danish communications specialist who has experience as an advisor for both the private and public sectors. She graduated in Journalism and worked as a journalist and press officer before becoming a communications advisor for the Ministry of Foreign Affairs and press secretary for the Ministry of Social Affairs and Gender Equality. From 2014 - 2016, Line worked for the international NGO SOS Children’s Villages in different positions, covering a vast number of countries. Today, she is Director of Communications and Advocacy at UNICEF Denmark and continues her work responsbilties at Danmarks Medie, where she has served as an appointed external examiner for over 15 years.